This is the first of our “Out and About” posts. We have a section on the PuddleDucks website called Out and About. The intention is to build up a listing of locations around Ireland where families can have a great day out – regardless of the weather. So with that in mind we’re going to try out as many new places as possible – but we’d love to hear about your favourite spots too. So, anyway … back to Gougane Barra. 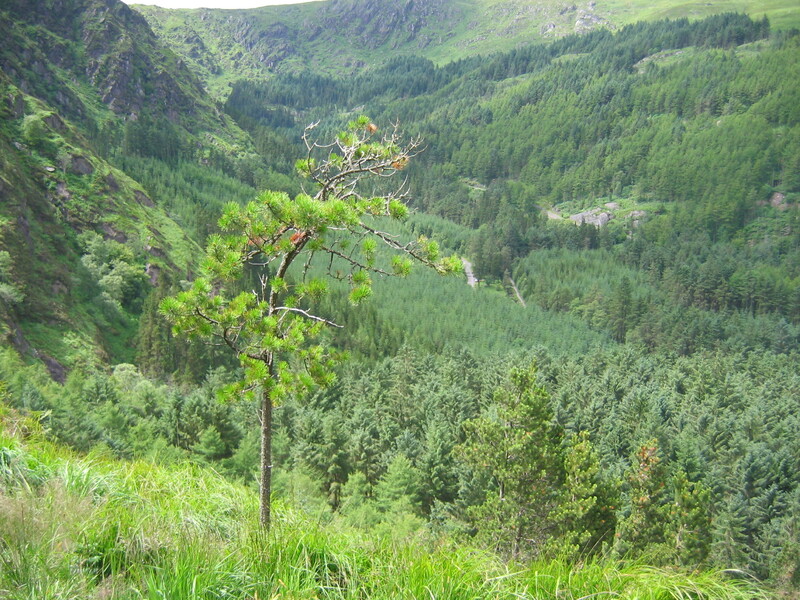 It is a lovely Forest Park located in North-West Cork on the borders with Kerry. From Cork City it’ll take about an hour and a quarter to get there. Entrance to the park costs a very reasonable €5 and you get a detailed map of the various trails around the park. Some of these are tougher than the others. One of the trails was very steep – a struggle for mum and dad although J. took it in his stride like a mountain goat. ‘Twas funny at the entrance, the very nice man suggested this trail and said that it would just be OK for a seven year old. He forgot to say that it would be a struggle for the not-so-young parents!! Anyway we had a great time and we would wholeheartedly recommend Gougane for a day out. There are lots of lovely places for a picnic (and if it’s the right season the Centra near the park sells the most delicous locally grown raspberries!). We are looking forward to going back a number of times a year in order to enjoy the beautiful scenery in all seasons.